Whether you are looking for a new Pickens County home or maybe you prefer a "pre-loved" one, we can help you find the perfect Pickens SC home. 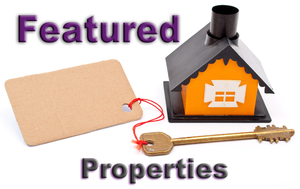 We have the complete local Greater Greenville SC real estate listing database feed online, which includes homes for sale in Pickens County SC, so you can quickly find the information you need! Our team of Greater Greenville SC real estate expert Realtors can help make your Pickens area real estate investment a smooth, enjoyable and profitable experience.